The figures crept along the dark house slowly, arms outstretched. "Right along here," said one of them, "you can feel it." They both stopped suddenly as they felt a chill in the air. Out came the IR thermometer and EMF audio pickup. A drop of ten degrees was shown on one as the other began to emit a staccato series of clicks. Had the ghost hunters found the paranormal evidence of a real ghost? What is Ghost Detecting Equipment? Ghost Detecting Equipment would include any and all manner of devices that - for the most part - were not initially designed to detect ghosts at all. Temperature gauges, gauss sensors, video cameras, infrared sensors and audible pickups are all employed to sense activity that is invisible to the naked eye, or to better define and clarify data that is at least a little fuzzy to human senses. As stories of cold spots, warm spots, static shocks and other phenomenon became associated with paranormal occurrences ghost hunters realized they could use tech devices designed to monitor such activity to sense ghosts. Below is a list of some of the more commonly used devices. EMF stands for Electro Magnetic Field, and a EMF Monitor or EMF Alarm is designed to detect the presence of such a field. This device can alert the user to a EMF when it passes by, indicating a ghostly force on the move, or a handheld version can sound off when carried into a field, suggesting the ghost hunter has found his or her quarry. This device is like an extension cord for a EMF monitor. By itself a EMF Pickup only does one thing- sense EMF energy. It will not provide information on the strength or consistency of a field, but will communicate with a EMF monitor; using multiple EMF Pickups connected to a control source allows a ghost hunter to cover an area thoroughly and record the data simultaneously. This device connects to an EMF Pickup and provides audible "translations" of what a EMF Pickup… picks up! Some ghost hunters listen for words or other sounds that are being transmitted only through an electro magnetic field. 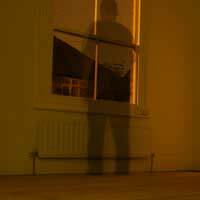 There are a variety of motion detectors that are employed by ghost hunters. Some use air-pressure sensors while others rely on thermal detection; in either case they need to be calibrated to the human ghost hunters that will be in the area to avoid giving off "false positives". Ghost hunters often report cold spots as a sign of paranormal activity. Temperature sensors that give quick readouts and are handheld are ideal to bring to a trouble spot and are preferable to mercury-based "thermometer" type devices. If paranormal activity causes the surrounding air to ionize this device is needed to pick up it. From large Geiger counter style devices to keychain sized personal rad counters, radiation detectors will pick up on x-rays, gamma rays and many more types of radiation. It can cost a ghost hunter a small fortune to get equipped with just the basics of techno ghost hunting. Starting small with a personal rad counter or infra red thermometer would be a good idea for the ghost hunter on a budget; even better would be to connect with ghost hunting teams that are part of a university or organization with deep pockets to build experience.